The statistics are stark, as is the silence that too often surrounds issues affecting Native women. In response, some Native women artists and writers are working to put faces to these numbers. 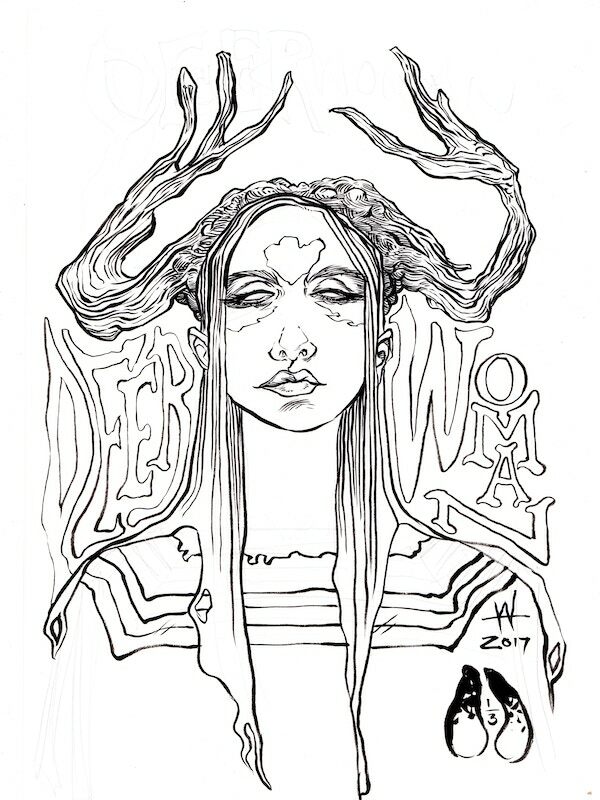 One such example is the upcoming “Deer Woman: An Anthology,” a collection of illustrated stories, which deal with violence and pay homage to the strength and resilience of Native women. Taylor Sheridan took on this horrifying reality in Wind River. Hard to watch. The Independent newspaper in the UK produced a lengthy examination of the underreported crisis. There were 5,646 Native American women entered as missing into the National Crime Information Centre database last year, with 5,711 in 2016. In the first six months of 2018 there were 2,758 indigenous woman reported missing. The FBI is responsible for investigating the most serious crimes committed on reservations. However when it comes to crimes on Native American land, the Department of Justice (DoJ) typically declines to send 30 to 40 per cent of all applications to prosecution. The last set of available data from 2016 shows that 35 per cent of cases were not sent for prosecution. The two major reasons given for this by the DoJ are either insufficient evidence, or the case being referred to another prosecuting authority – such as the tribes themselves. Activist Marita Growing Thunder makes note of an aspect to this hidden problem that I think is salient: People often just don’t “see” native peoples. Yes, they do. And we need to hear their stories. I’ll be ordering Deer Woman. Horrible. Particularly since most people don’t seem to know that it is happening. 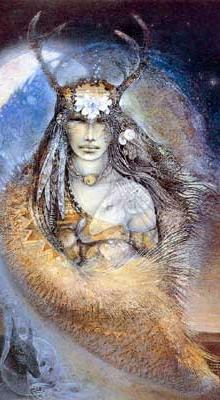 The pictures look very much like “Elen of the ways” a old european goddess, she is said to have led the herds of deer as they moved around. From what I have read no one would have beaten her . Norman! So good to hear from you! The commonalities in human myths are profoundly interesting. That should have read ” herds of deer ” sorry. Yes in the past I studied myths and it is surprising how often myths from different parts of the world match. A huge part of this is that tribes cannot prosecute non-tribal members, even if those people live on the res and commit crimes there. Those crimes get referred to the Feebs (there’s that word again) and as you point out, often nothing comes of it. Because of this, folks move to the res knowing the odds of being punished are tremendously low. Lots of rapists and child molesters use the closest tribal land as a hunting ground. That is a chilling thought. It is somehow easy for us to blame non-tribal members for the rapes as often portrayed in “Longmire” and “Wind River.” Not saying it doesn’t happen. However, I think that the vast majority of the rapists are likely tribal members simply because of opportunity. Alexandra Fuller coined a phrase in her reservation novel describing a girl that had been raped by “Reservation Uncles.” I think that tenuous status may describe many of the perpetrators of sexual assaults on reservations. We also saw that in “Once Were Warriors” in the Maori slums in New Zealand.